Personal Injury Automobile Insurance Coverages: If you have a personal injury from an auto collision, you will want to know what insurance coverage is available to you. If the other driver is at fault, you will want to get that person's liability insurance information. If the other driver is at fault but is an uninsured motorist, you will want to use your uninsured motorist coverage. If they have automobile insurance, but do not have enough insurance to cover your claim, you will want to use your underinsured motorist coverage. Additionally you may have PIP or Medpay that you may want to use. If you have your own vehicle but are in someone else's vehicle, either as a passenger or driver, you may have additional coverages available to you. You need to have an evaluation of the situation, the vehicles involved, the insurance involved, and the coverages involved to ensure that you recover the proper amounts under the insurance policies involved. Auto Liability insurance in Texas is the one insurance that you are required to purchase if you drive an automobile. Texas Transportation Code section 601.051 is the financial responsibility law in Texas. This coverage is required to protect others in case you are negligent and cause damage or injury to someone or something else through your negligence. Liability insurance covers you as the driver or owner from liability claims that others may have against you if you were to be found at fault in a collision. Currently, Texas Transportation Code section 601.072 sets the minimum liability insurance limits in Texas at 30/60/25. Translated, this means that if someone has minimum limits required by Texas law they have up to $30,000.00 to cover a single person's injury, up to $60,000.00 if multiple people are injured (for example, if 4 people are seriously injured, they would have to split $60,000.00 four ways). No single person could get over $30,000.00. The "25" in "30/60/25" stands for the amount of property damage coverage - $25,000.00. Which means that if you total out someone's new Mercedes, you might not have enough insurance coverage to pay for their vehicle. People often have higher limits of liability than the above listed "minimum limits", but those are the lowest amounts a person is supposed to have in Texas. (2) pay, on behalf of the named insured or another person who, as insured, uses a covered motor vehicle with the express or implied permission of the named insured, amounts the insured becomes obligated to pay as damages arising out of the ownership, maintenance, or use of the motor vehicle in the United States or Canada, subject to the amounts, excluding interest and costs, and exclusions of Section 601.072. License suspensions, surcharges and fines: If you drive without auto liability insurance in Texas and are involved in a collision, in addition to fines, and a judgment, your license can be suspended in several different ways and you are subject to fines and surcharges. If the police come to the scene, they will give you a "no insurance" ticket, which if convicted, will result in your license being suspended. If you have previously had no insurance tickets, and your license was suspended, and you are driving without insurance or a valid license, the police may cite you with Driving While License Invalid (DWLI), or Driving With Your License Suspended (DWLS), and you are convicted, your license will be suspended. If the person you cause injury or damage to files a judgment against you personally (because you have no insurance), or if their insurance company files a judgment against you, they will file a copy with the State of Texas DPS and your license will be suspended until the judgment is somehow taken care of. No insurance findings will cause the State of Texas to make you pay a "surcharge" of several hundred dollars per year to keep your license. If you do not pay this surcharge, your license will be suspended. Often, it is the insurance issue that causes most drivers license issues in Texas. Make sure you are carrying adequate liability limits. The minimum amount required by law is not adequate. $30,000 coverage for an injury is not enough to cover even a small but serious injury claim (such as a broken bone, or a case where someone might need minor surgery). Your assets and credit are at risk if you have a judgment against you in excess of your coverage amount. Get more than minimum limits, in order to obtain real coverage to protect yourself. 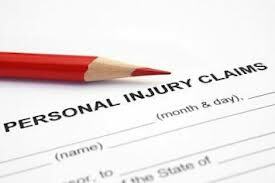 Other types of insurance can also affect your personal injury claim. Health insurance, workers compensations insurance, Medicare and Medicaid can all affect your claim and the amount you are able to recover. Often these insurances claim a lien or subrogation interest in your injury claim you have against any auto insurance proceeds. Some of these claims are legitimate, others are not. Personal injury auto insurance coverage can be confusing. It can fully compensate you, or if done incorrectly, you can end up short the amount of money that you should receive for your automobile injury claim. If you have been involved in an automobile accident where you or someone you know has been injured, contact a Dallas injury lawyer today to discuss your case. Make sure you are using your insurance coverage correctly in order to ensure you don't end up owing bills that insurance should cover. Contact the Law Office of Doug Goyen at (972) 599 4100 to talk to our Dallas injury lawyer.